Qualcomm has been giving away a lot of laptops as of late. The company was recently found to be giving out a Dell XPS 15 gaming laptop and has now been found giving away an Alienware M14x gaming laptop, complete with Killer’s Wireless-N 1202 Network Card. It is the season to be jolly, an apparently giving, and gamers are the primary beneficiaries. 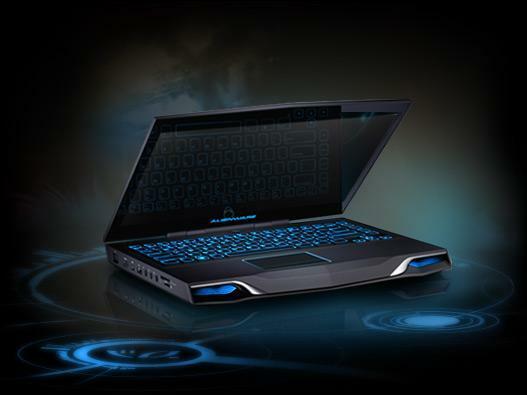 What better present could a PC gamer ask for than a free Alienware gaming laptop? Alienware is on the top of the market when it comes to portable PC gaming, with some of the best gaming laptops around coming from the developer. The M14x is definitely a killer gaming rig. It comes equipped with an Intel i7 2860QM quad-core processor along with 8GB of DDR3 SDRAM that clocks in at 1.6GHz. In addition to that, the M14x also contains 750GB of storage and 3.0GB of dedicated DDR3 VRAM in the Nvidia GeForce GT555M, which means you shouldn’t have a problem maxing out the graphics on most games. Like I mentioned earlier, this device also comes with Killer’s Wireless-N 1202 high-powered network card, which means you will be able to experience some pretty intense framerates along with a 1ms latency. If you are looking into getting a high-powered gaming laptop, then I highly recommend you enter Qualcomm’s giveaway. All you have to do to enter is to go to the official Qualcomm Facebook Page and follow the three steps prompted and you will be entered to win the M14x gaming laptop from Alienware. I just entered the competition myself so may the best gamer win! Next Post: Rent Technology in Washington D.C.
A noteworthy post, special thanks from a huge gaming addict! !.